Treasure Fingers, The M Machine, Lethal Bizzle feat. Diztortion, Brillz, Doorly, Rory Lyons and more. This show was 50th in the global bass music chart. 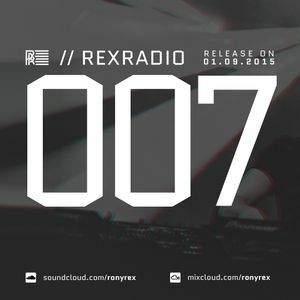 2015 brings new stuff with it: I&apos;ve been releasing a monthly #rexradio mix since January. In these mixes I&apos;m messing around with stuff I like and exploring sounds... fast & slow, old & new, weird & dirty, light & easy + everything in between. Stuff you can expect in my sets and also tracks I’d never play out – I aim to make every episode a small trip in electronic music, always mixed live.